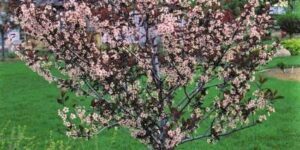 A Favorite of Wildlife and Year- Round Interest Canada Red Select Cherry is a lovely tree with decorative interest and versatile fruit. 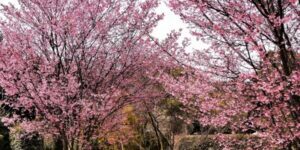 Plant one for a splash of color in a barren area of your yard or anywhere its colorful foliage, flowers and fruit can be enjoyed year-round. 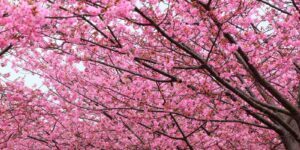 Your Canada Red Select Cherry is a remarkably beautiful tree with something to offer for every season of the year. 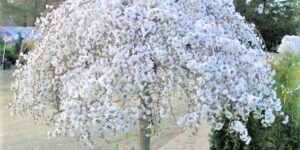 In spring, its 6-inch long racemes of delicate, white flowers will dangle on the breeze, a lovely welcome to the new season. 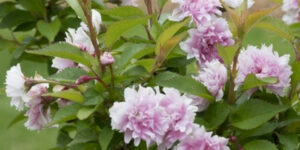 The fragrant flowers are a stand-out amid the vibrant foliage. 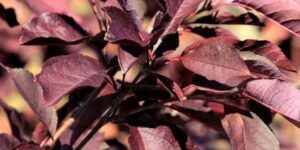 Each oblong leaf features a delightfully, fine-toothed edge that begins life with a lively green but takes on a deep purple hue by summer. As autumn arrives, the foliage assumes additional tints of red/orange, a beautiful contrast against the smooth bark with its grey/brown coloring and shallow-fissured texture. 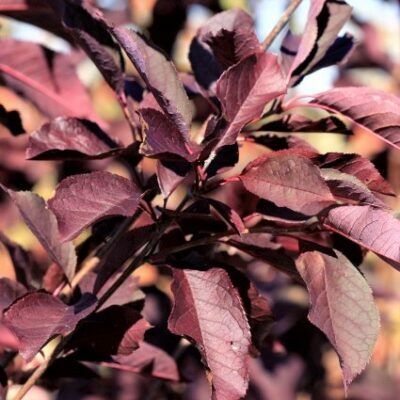 As if these decorative features weren’t enough, Canada Red Select Cherry Tree will provide you with clusters of 1/3-inch, red “cherries ” from July to October, and appear purple/black by fall. The thick skin conceals dark, thin flesh that is sour when eaten fresh, but delicious when made into such culinary delights as jelly and wine. 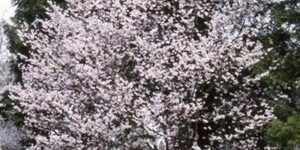 Your Canada Red Select Cherry Tree is also prized by wildlife. Birds will eat the flesh, chipmunks will carry away the pits and many others are sure to visit for a tasty treat. 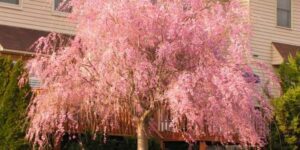 Canada Red Select Cherry Tree will grow 25 feet tall with a 20 foot spread. It has a straight trunk and uniform top. Canada Red is adaptable to a variety of conditions and will even tolerate poor soils. It has an overall hardy nature that is a breeze to care for. The value of your Canada Red Select Cherry Tree cannot be denied. It not only offers decorative interest for every season, but even provides valuable fruit for wildlife and a culinary treat for your table every year.